The January 21, 2015 meeting of the Antioch School Board included two administrative appointments, a presentation by representatives of the Contra Costa County District Attorney’s (DA’s) Office, a review of financial statements, and the adoption of a new, Common Core, language curriculum for grades six through 12. Early in the meeting, board President Claire Smith announced that, in closed session, the board had appointed Jason Murphy to the position of Director of Educational Services. He had previously been a Vice Principal at Antioch High School. She also announced that Joe Horacek had been appointed to the position of Vice Principal at Dozier Libbey Medical High School (DLMHS). With this latter appointment, the board addressed one of the key concerns expressed by the teaching staff at DLMHS a year ago, when a majority of them had put forward a proposal to convert to a charter school in order to address, among other issues, what they considered a lack of sufficient administrative personnel at the site. After hearing Superintendent Donald Gill speak about an Emergency Preparedness Simulation, conducted at the District Office, and hearing Student Delegate Reports, the board listened to a presentation from the DA’s office. Assistant District Attorney Laura Delehunt, along with probation officers LaTasha Jones and A.J. Lawrence, spoke about current programs their office provides to AUSD at no charge to the district. They explained how they work with students on issues of drug awareness, gang violence, attendance, and truancy. They noted that cyberbullying is increasingly a topic of conversation with the students. Tim Forrester, Associate Superintendent, Business and Operations, along with Mia Cancio, Director, Fiscal Services, and a representative from Crowe Horwath, LLP, AUSD’s auditors, discussed the district’s financial condition. The auditor’s report said that spending related to both Measure B and Measure C bonds had been done in accordance with requirements. Forrester also discussed the district’s revenue situation, noting, among other things, that the number of students attending AUSD schools continues to decline, and that, over the course of a fiscal year, the amount of money the state projects it will be providing to the district can vary by millions of dollars. Later in the meeting, the adoption of new language arts textbooks for grades 6-12, a Common Core curriculum, was considered by the board. Antioch resident Julie Young, who frequently speaks in opposition to Common Core, voiced concern about the amount of money that was to be spent, about $1.2 million, on the textbooks. Young said that the district had only recently purchased language arts textbooks, and questioned the cost of now doing so again. She also expressed concern about whether or not the requirements for informing the public about their right to review the books had been properly carried out. Board Trustees Debra Vinson and Walter Ruehlig also expressed “reservations” about the proposed purchase, but for different reasons. Ruehlig, also in an email exchange, said that he had concerns that were similar to those expressed by Smith. Referring to the new federal standards for teaching English, he said, “The jury is obviously out on Common Core, but if New York, ahead of other states on implementation, is any indication, caution is necessary. To date, some 50% of New Yorkers disagree with the Common Core roll-out. With America ranking 27th on international student testing, we can’t just sit and do nothing. Unarguably, rigorous and consistent standards are needed. Furthermore, the push toward critical thinking skills is a good thing. There is, though, a fear of a runaway train repeat of No Child Left Behind, with common sense losing out, and top-heavy becoming the norm. We don’t benefit by a dogmatic entrenched elite and the publishing industry dictating material. There is a reason why the classics of literature are defined as such. As timeless art, they cannot be accused of being messengers of current political currency. We need, then, to be balanced in keeping them as integral, for they have withstood the test of time for good reason. I also fear that the direction toward facilitated discussion, though holding merit, might get unbridled and excessively time-draining. This is especially true in math, where there is long-standing evidence supporting the learning value of continued practice, memorization of basic math facts, and the mastery of algorithms. Haven’t we seen the effects of stress and of imbalanced measures of competency fed by high-stakes testing? For good measure, throw into the mix the number of disgruntled teachers who will fight this mandate. Then add the expense we face as AUSD recently bought $1.2 million in new books. I realize, though, that Common Core is the reality in California. It is futile to deny that fact. Certainly, we don’t want to ignore the positives of consistent standards and the goal of workplace readiness. In spite of the debate regarding the materials, and reservations expressed, the board none-the-less voted in favor of the new curriculum, on a 4-1 vote, with only Smith voting against. The next regular board meeting is scheduled for February 11. Meetings are held at the AUSD office located at 510 G Street. 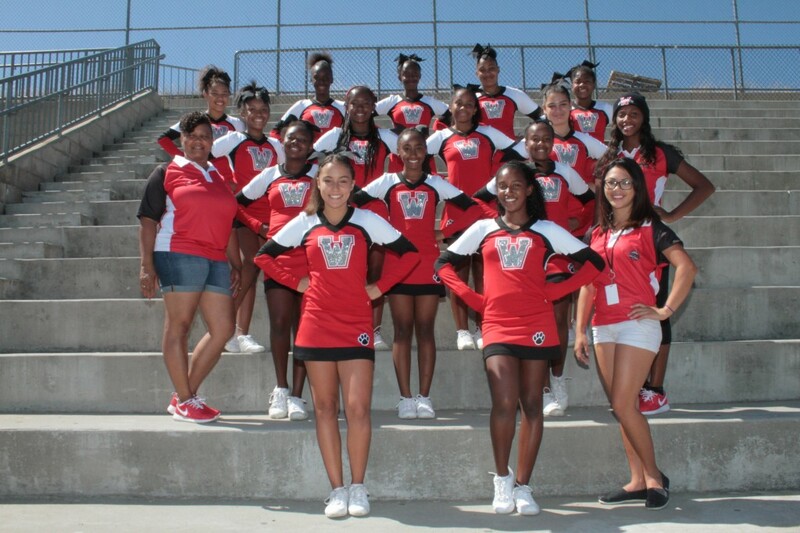 Meetings typically begin at 7:00 p.m.
Delta Valley Wolfpack Cheerleading squad. Delta Valley Wolfpack, an Antioch nonprofit group that provides an opportunity for local youth from ages six to fourteen to participate in high-level football and cheerleading, is once again sending four teams to the Youth National Championships. About 50 cheerleaders from the Wolfpack will compete in the event, which is to be held from January 23 through 26 at the Orleans Arena in Las Vegas, Nevada. The Wolfpack Cheer squad has won the national championship four times since their founding in 2009. The all-volunteer organization, which sees over 200 young people participate in their programs, each year, was founded by Kim and Lee Scott. Today, Lee serves as President of the organization, and Kim is head of Varsity Cheer. About 60 volunteers work throughout the year to guide their young charges to success. The program is not just focused on athletics, however. Academic and life skills are a large part of the training that the young people who participate in Wolfpack programs receive. Tony Carter, Coaches Commissioner with the Wolfpack, created a student scholar program within the group. Students are required to turn in their report cards, and the Wolfpack has tutors on hand to help students who might struggle academically. At the end of the year, students are recognized for their academic performance, and several students on the team have attained 4.0 grade point averages. Wolfpack volunteers also mentor their young charges in citizenship. Respect is a major focus. According to Kim, “You’ve got to have self-control, self respect, and respect for others if you are going to be successful in life.” Lee concurred, saying that he does not allow any poor sportsmanship from the members of his football teams. “There is no trash talking, no arguing, no bullying,” he said. Lee emphasized that the coaches maintained discipline, and expected the young scholar-athletes to learn and practice self-discipline. “We run it like a household,” he said. Indeed, the entire program is very family oriented. There are no tryouts, no weight limits imposed, and nobody is cut from the team because of a lack of physical ability. “The first forty kids who apply will make a squad,” Lee said. He emphasized that he wanted any child who was interested to have a chance to compete, and by allowing all students to play, even those who might not have an innate athletic ability, it put the onus on the coaches to work hard to help each team member succeed, regardless of incoming skill level. The Wolfpack is mostly financed through parent participation fees, with additional revenue generated by entry sales to view games, revenue from their concession stand, participant fund-raisers, and a small group of sponsors, including Mountain Mike’s Pizza, One Work Place, and Sign O Rama. For more information about the Wolfpack, contact Kim Scott at 925-754-8668 or by email at deltavalleywolfpack@yahoo.com. Washington, DC – Congressman Mark DeSaulnier (D, CA-11) announced that he will serve on the House of Representatives’ Committee on Oversight & Government Reform’s subcommittee on Transportation and Public Assets. “During my time in the California legislature I fought to ensure greater transparency and accessibility. Whether leading the investigation into the construction of the Bay Bridge or passing the law that requires the California Department of Transportation (Caltrans) to develop the state’s transportation plans in a more strategic and open manner, oversight and accountability have always been a top priority. I hope to apply this experience, and what we have learned in California, on the federal level,” said DeSaulnier. The transportation subcommittee has jurisdiction over the Departments of Transportation, and Housing and Urban Development, and the Transportation Security Agency. It also has purview over the Federal Emergency Management Agency, the General Services Administration and federal real property. DeSaulnier will also serve on the subcommittee on Healthcare, Benefits, and Administrative Rules which has oversight jurisdiction over federal health care policy, the Department of Health and Human Services, Medicare, Medicaid, Social Security, and government-wide rules and regulations. DeSaulnier will bring his previous oversight experience on these issues, most recently as a member of the California State Senate Committees on Human Services, and on Budget and Fiscal Review’s subcommittee on Health and Human Services. “Oversight of social and human services programs is critical to the health and well-being of our families and communities. We need to balance accountability of taxpayer dollars with quality and effective programs,” DeSaulnier added. There will be Highway lane closures in the eastbound direction of SR4 from Lone Tree Way to the SR4/SR160 connector ramp on Wednesday and Thursday evenings between 11:00 pm and 5:00 am and again on Friday evening between 11:59 pm and 6:00 am. There will be Highway lane closures in the westbound direction of SR4 from the SR4/SR160 connector ramp to Lone Tree Way on Friday evening between 11:00 pm and 6:00 am. The SR4 westbound off ramp at Hillcrest Avenue will be closed Friday evening from 11:59 pm to 5:00 am. Lone Tree Way/A Street will be closed between the SR4 on and off ramps on Saturday evening from 10:00 pm to 5:00 am and again on Monday through Friday evenings from 10:00 pm to 5:00 am. Please note: Lone Tree Way/A Street will be open to the Hillcrest Avenue westbound off ramp detour traffic on Thursday and Friday evenings. There will be single lane closures on Lone Tree Way/A Street in both directions between the SR4 on and off ramps on Friday from 9:00 am to 3:00 pm. See detour maps by clicking here: Highway 4 closures. Betsey Marie Theurer, age 85 of Cushing, passed away on Sunday, December 21, 2014 at the Linwood Village Nursing Home, Cushing. Arrangements are entrusted to the Palmer Marler Funeral Home, Cushing, OK.
Betsey was born on August 2, 1929 to Winfield Sherward and Ellen (Green) Upson in Oakland, CA. She grew up in Antioch, CA., graduating from Oakland CA. 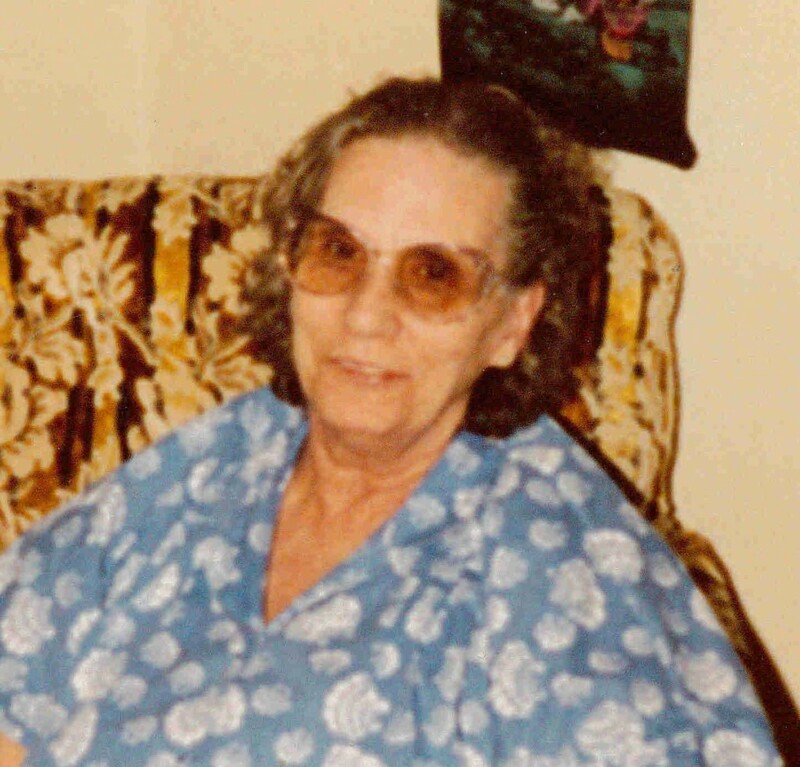 Betsey worked for seventeen and half years as a CNA. She previously worked at Oakland Army Base as a secretary. She was in Topps club, local 250 union. 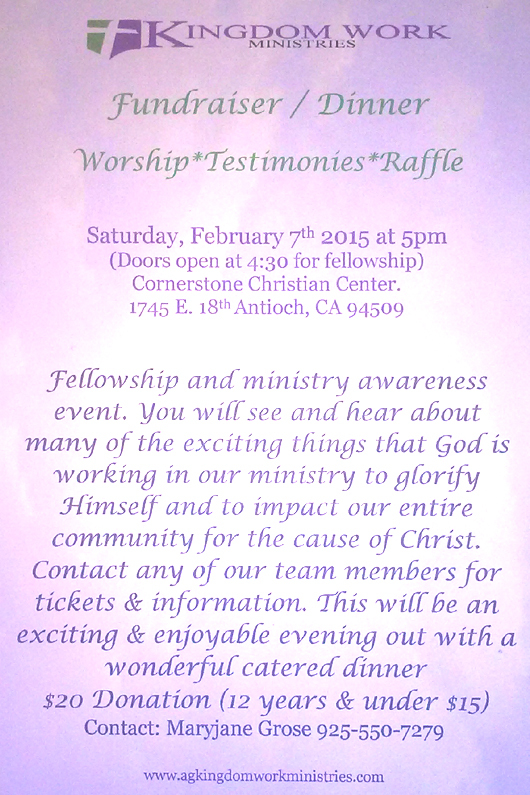 She was also a member of the First Baptist Church in Antioch, CA. She loved cats. She is survived by her daughter Beth Hartshorn of Cushing, grandchildren Michael Braver, Christopher Hartshorn and Jeanette Hartshorn, great grandsons; Raiden Layne Hartshorn and Grayson Eston Allen Holba, and step-grandson Landry. She was preceded in death by her sister June Upson; brother Alfred Upson; aunt Beryl Upson Surgenor. OAKLAND, Calif., Jan. 28, 2015…The Metropolitan Transportation Commission (MTC) today unveiled its innovative Vital Signs website (vitalsigns.mtc.ca.gov), an interactive tool that Bay Area residents can use to track the region’s progress toward reaching key transportation, land use, environmental and economic policy goals. Residents also can consult the new website to learn more about historical trends, differences and similarities among the Bay Area’s many communities, and how the nine-county region stacks up with other major U.S. metro areas. The first phase of the Vital Signs initiative examines 14 different indicators by which the health of the Bay Area’s transportation systems can be monitored. These include several measures of Bay Area transit agencies’ performance; a detailed look at pavement conditions on state highways, city streets and county roads; and a rank-ordered list of the 139 most congested freeway segments in the region. Phase II of the Vital Signs project, slated for completion this spring, involves land use and economic development measures. Data for Phase III, which will focus on environmental and safety questions, is due for release this summer. Among the key findings in the first set of Vital Signs data is that Bay Area commuters are committed to their choice of transportation. Solo drivers account for two-thirds of all commuters in the region, a statistic that has remained constant for decades. Still, among the nation’s 10 largest metro areas, the Bay Area has the third-lowest number of commuters who drive to work alone, trailing only New York and Washington, D.C. The percentage of Bay Area commuters who ride transit similarly has held steady at about 10 percent since the 1980s. The most significant shift in recent decades is the increasing number of residents who choose to bike to work or to telecommute. These gains have come at the expense of carpooling, which has declined in popularity over time. San Francisco leads all Bay Area cities with 32.6 percent of residents commuting to work by transit. Other cities in which the share of residents commuting via transit tops 20 percent include Albany, Colma, El Cerrito, Berkeley and Daly City. While the Bay Area remains one of the nation’s most transit-oriented metro areas, and overall ridership in the region has grown in recent years, it is still well short of the modern-era peak achieved in 2001. Total transit ridership dipped 3 percent from 2002 to 2012 (the latest year for which National Transit Database information was available for Phase 1 of the Vital Signs project) and per-capita ridership declined 10 percent over this time. New York, Chicago, Philadelphia and Miami all experienced notable growth in both overall and per-capita transit ridership from 2002 to 2012. The only major metro areas with greater declines in ridership than the Bay Area are Houston, Dallas-Fort Worth and Atlanta. Indeed, considering the growth of the Bay Area population, the region has for two decades become less dependent on public transit, with the average resident boarding a bus, train, ferry, light-rail vehicle or cable car 79 times in 1991, compared to just such 68 trips in 2012. Several major Bay Area transit operators carried fewer riders on a typical weekday in 2012 than they did in 1991, with declines ranging from 7 percent for San Francisco Muni to 30 percent for SamTrans. Ridership slipped 13 percent at the Santa Clara Valley Transportation Authority (VTA) and 17 percent at AC Transit. In contrast, BART and Caltrain ridership has climbed to record highs, with Caltrain carrying over 140 percent more riders each weekday than it did in 1991 and BART’s weekday ridership rising nearly 50 percent over this period. NOTE: The Vital Signs initiative is further illuminated by several short videos posted on MTC’s website at: http://mtc.ca.gov/news/press_releases/vitalsigns_launch.htm. On Tuesday, January 27, 2015 at approximately 6:20 PM, Antioch Police Department patrol officers responded to the 3500 block of Country Side Way in Antioch on the report of a possible marijuana, grow house. Patrol Officers conducted a traffic stop on a vehicle leaving the residence where they contacted the driver Yaoming Li, a 38-year-old man from San Francisco. 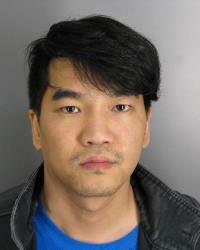 Li was found to be in possession of marijuana for sales and placed under arrest. Investigators served a search warrant at a residence located in the 3500 block of Country Side Way in Antioch, as well as a storage unit located on California Street in Pittsburg related to this arrest. During the service of the search warrant, Investigators found the home had been completely converted into an illicit marijuana cultivation operation. Investigators seized approximately 755 marijuana plants from the home and located a large amount of equipment used to facilitate the cultivation. The case is still being investigated by the Antioch Police Department’s Special Operations Unit. Anyone with information regarding this case is encouraged to call Detective Lowther with the Antioch Police Department at (925) 779-6943. You may also text a tip to 274637 (CRIMES) using key word ANTIOCH.